The collapse of the Yanukovych regime follows three months of growing protests that exploded in last week’s violence, which claimed more than 88 lives. Many of these protests took place in the Maidan, or Independence Square in the capital city of Kiev. At issue was Yanukovych’s decision to move Ukraine into a much closer economic and political relationship with Russia. This move triggered outrage among younger Ukrainians who wish for their nation to cast its lot with the European Union. After the vote to oust him, Yanukovych fled Kiev and is reportedly in Crimea, an autonomous republic in southeast Ukraine. According to media reports, the new government has charged Yanukovych with murder and has issued a warrant for his arrest. 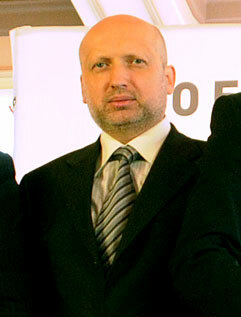 Monday night in Kiev, Turchynov, 49, spoke publicly for the first time since taking office as acting president. According to an unofficial translation, he said, „Unprecedented cruelty and brutality of the dictatorial regime did not stop citizens. They selflessly gave their lives to defend their rights—and won. The Parliament has set new national elections for late May. The choice of a Baptist pastor as acting president in Ukraine, which has had an Orthodox majority population for centuries, does not come as a huge surprise to Sergey Rakhuba, head of U.S.-based Russian Ministries. For years, he has been in periodic contact with Turchynov. „He is well-known in political circles as a principled, honest leader, although he was somehow always in the shadow of Yulia Tymoshenko, the jailed prime minister who was released yesterday. 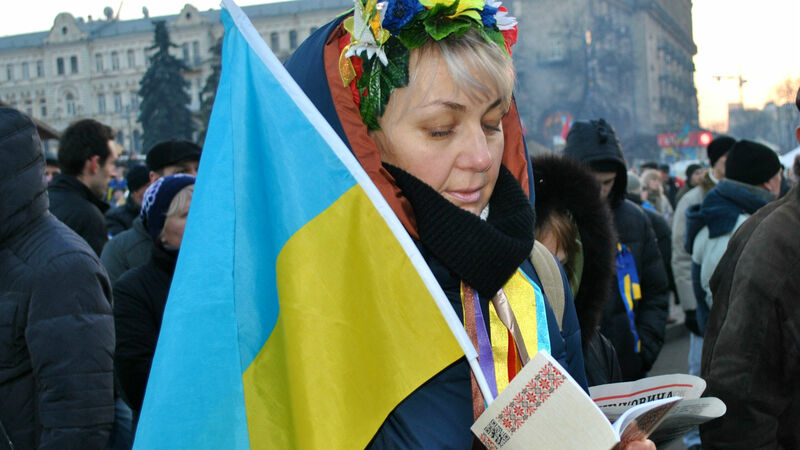 In 2008, Susan Wunderink reported a substantial cover story from Ukraine about the changing role of the nation’s evangelical minority after the 2004 Orange Revolution, exploring how Eastern Europe’s most missional evangelical church was rethinking tradition and the Great Commission. In 2001, CT interviewed Trajkovski at the National Prayer Breakfast in Washington. „To serve God,” he told CT, „is to be with the people and to follow Jesus’ steps.” Tragically, Trajkovski was killed in a 2004 plane crash in Bosnia. On Monday, Christianity Today was given the public statement of Valery Antonyuk, vice president of the All Ukrainian Union of Evangelical Churches, Baptist. The Bible says that there is, „a time to tear and a time to mend, a time to be silent and a time to speak, a time to love and a time to hate, a time for war and a time for peace” (Ecc. 3:7-8). In accordance with these wise words, we declare today to be a time to mend, and not a time to tear the nation apart; a time to seek peace, and not a time to fan the flames of war; a time to learn to love yesterday’s enemies, and not a time to continue to hate rivals and those who have hurt us.